Recently, I’ve had a bit of a slowdown in posts here. Also, my writing has suffered for the same reason. My wife started a new job, so our daughter started going to a nursery. However, for the first half of April, she’d been sick, and that took up a lot of free time. But she’s healthy now! With that said, I’m going to begin focusing on my book reviews and writing again. I have 4 reviews to write, The Restaurant at the End of the Universe, Macbeth, The Arrival, and Ringworld. I also have to get the second draft of Part 1 of Journey to Ariadne completed and posted. I won’t be posting first drafts after this. Only second drafts. I’d also like to announce a new project, one that doesn’t take up much time at all. It’s called Mainichi Dokodemo Photography. That means Everyday Anywhere Photography. I take pictures with my iPhone daily and post them on the photo blog. It takes only a minute. So, head on over there and take a look! I love ramen. However, I didn’t have ramen. I went to Hidakaya, a really cheap ramen restaurant that seems to have removed my favourite ramen from their menu. 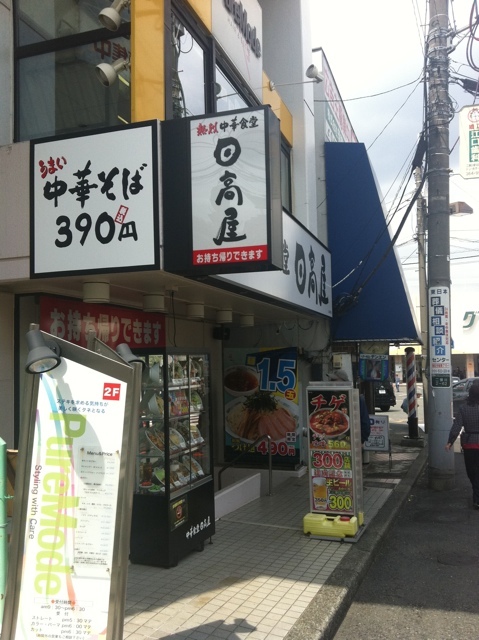 However, I decided to have something similar, Chuuka Soba. 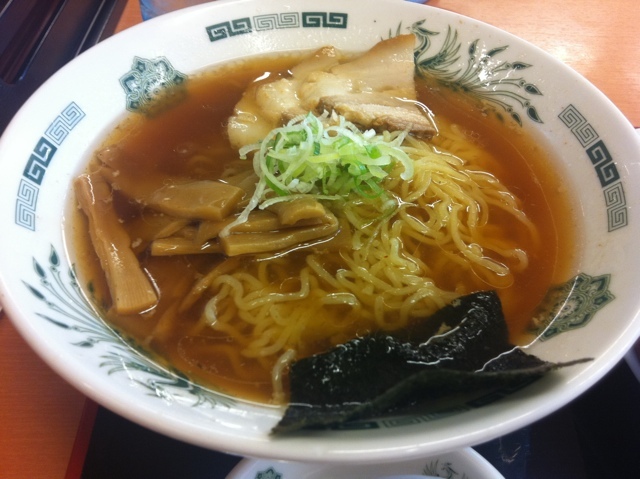 I usually had Chuuka Chashumen, which is basically soy sauce based ramen with pork slices. Chuuka Soba is basically the same thing, except fewer pork slices and an added sheet of nori seaweed. Well, it tasted about the same, except for the lack of pork. It also included some leek and bamboo shoots. I like it, though it’s not a strong flavour. I ordered the gyoza set, so it came with 6 pieces of gyoza. 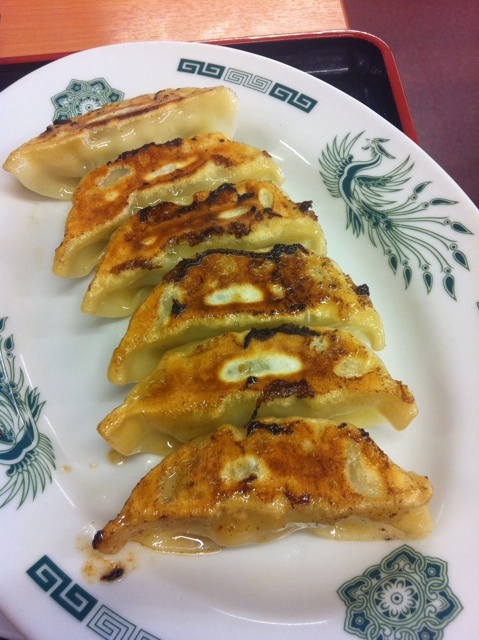 The gyoza is your usual gyoza. Not exceptional, but still decent. You have to make your own sauce with the provided soy sauce, vinegar and chili oil. Overall, it only cost me 580 yen. Pretty cheap! It’s always nice to find a cheap place to eat that serves good food. It’s also very popular. I really like this advice. I need to work more on connecting with other bloggers through blogs, but the extras thing is something I am going to do a lot of. 25 days until the Minutes Before Sunset release. When I posted Shannon Summary: Six Months In, I received a lot of inquiries about how to bring more readers to your blog and/or novels. I thought about this for a while, and I’ve come to a lot of conclusions, but one of them in particular kept repeating itself: connect with our readers. So what can you do once you get passed that step?